Rollicking, dramatic tunes harness a professional touch. 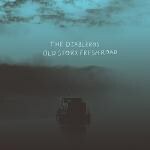 Old Story, Fresh Road is an apt title for the defiant and uplifting EP from Toronto’s the Diableros. Produced by Juno award-winning recording engineer Laurence Currie, the five rollicking, dramatically influenced songs on the EP harness a professional touch. It’s a strong move for the band; while the band displays a Killers-esque penchant for a sweeping, emotionally charged brand of rock, Currie has done his best to highlight the Diableros' gritty and sweaty undertones. The band uses a rhythm-heavy stomp with bona fide force to stamp its old-school aesthetics into the subconscious. There’s a cohesive groove to the EP from the jangle-ready anthem of “Heavy Hands” to the pensive and wandering vibe of the title track. Though the Diableros sound more professional, its the rough edges that make the band's sound so redeeming.